Transporting items across a long distance isn’t easy, especially if you need to cross state lines to reach the destination. The distance between Sydney and Brisbane spans over 900 km and a non-stop drive takes nearly 10 hours. Transporting any kind of cargo across the distance requires planning and careful execution. At Fast Removalists, we always encourage people to consider professional removalists for the job. 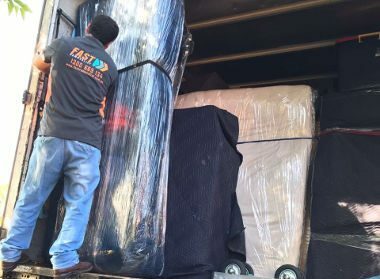 We offer a wide range of services, including backloading Sydney to Brisbane so don’t hesitate to call us if you need a good quality local removals, interstate removals, and backloading services. What is Backloading Sydney to Brisbane? Regular removalists services involve packing up all of the cargo from a residential and commercial property, loading them in a moving truck, and transporting to the destination. Clients hire this service if they need to transport a large number of items and need an entire truck or more for the purpose. Sometimes clients don’t need to transport a large number of items and don’t require a full truck. Hiring an entire moving truck for transporting a couple of furniture pieces or other such items can is a waste of money and resources. Backloading is the perfect solution for these kinds of requirements. Instead of paying for the entire truck, clients only pay for the amount of space they use. They share the cost of the truck with other clients who want to transport items along the same route, which can help people save a lot of money on the move. What are the Advantages of Hiring Backload Removalist from Sydney to Brisbane? Hiring a backload moving company is cheap – Backloading doesn’t cost as much as regular moving services because we as professional removalists look for ways and means of providing customers value for money. For example, if the company has carried out a full removal from Brisbane to Sydney, the truck coming back to Sydney is empty. Instead of letting it remain empty, backload movers offer affordable backloading services which benefit customers that have only a few items to transport. We offer these services at attractive prices and can help you save a lot of money. Impact of backloading on the environment – Backloading is good for the environment it consumes less fuel and helps decrease traffic on popular routes. Our removalists carry out a large number of full interstate removals regularly and if clients book space on returning trucks instead o of all those journeys instead of booking full removals, they can reduce the impact on the environment by a considerable margin. 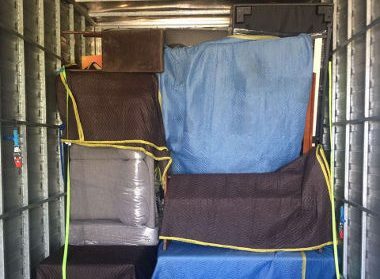 Professional and safe backloading removals Sydney to Brisbane – Many clients worry they won’t receive the same quality of services during backloading as they would during full-scale removals. We don’t compromise on the quality of services and always make an effort to remain consistent across the board. All our services are of good quality and reliable so you can trust us with your personal possessions. We still provide a team of experienced professionals with a dedicated furniture removalist if needed to make sure all items are transported safely to the destination. 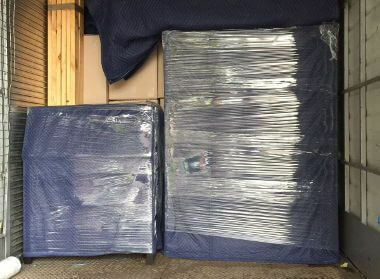 Backloading by interstate removalists Sydney to Brisbane – Interstate removals are always challenging and require careful planning. We have ample experience in this field and have carried out several interstate removals over time. We will make sure all items are loaded carefully, secured well, and transported to the destination in a timely manner. 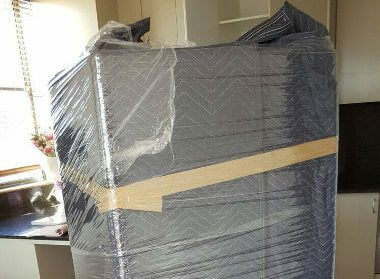 Our backloading removalists are well prepared for any obstacle they might face during the removal process, which reduces the chances of problems and delays. Backload furniture removals by expert furniture removalist – Backload furniture removals are complicated because these items aren’t easy to transport. They come in different shapes and sizes so they can’t be placed neatly inside moving boxes for the removal. Our experienced furniture removalist will provide advice on how to pack these items, load furniture pieces carefully into the truck, and make sure they’re transported to the destination without any problems. Why Choose Us for Backload Removals and Transport? We’re experienced backload movers and know how to manage cargo from different clients at the same time. Our team includes interstate and furniture removalist to ensure all items are transported securely. Our backloading moving company is licensed and certified so all our services are according to industry standards. There’s no compromise on the quality of services offered, which means clients can be certain their cargo will reach the destination safely. We offer honest and straightforward backloading quotes with a detailed listing of the costs involved. Our website has an interstate moving cost calculator that can help clients plan a budget before they hire our removalists. 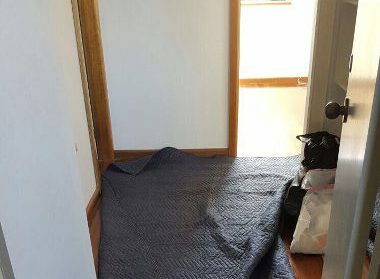 All interstate removalists Sydney to Brisbane have insurance coverage so any cargo is lost or damaged, the insurance will cover the cost of replacement or repairs. All clients need to do is pack the items carefully and keep them ready for pickup. Our backloading removalists will arrive at your property on schedule and transport the cargo to the destination on time. 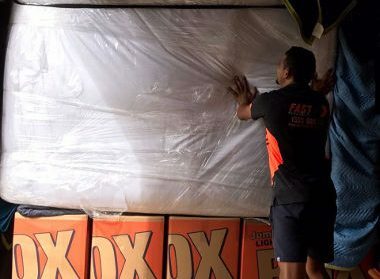 If you want to know more about our backloading Sydney to Brisbane services or want to hire good quality moving services, don’t hesitate to give us a call at Fast Removalists. We have a great team willing to help.